We both decided to test this product as we wanted to see if it would meet our individual needs. Nicky wanted a moisturiser that had great protection for her sensitive pale skin, especially as she plays a lot of netball outdoors and is exposed to the elements on a freaky frequent basis. So the SPF 50 sunscreen inside this little lovely ticked that box! Leigh was more interested in the tinted moisturiser element of the product as she was after something that would be uber quick to use for days when she would like a lie-in, plus would look light and provide a “make-up free” appearance to wear to Zumba! Exuviance was developed by doctors with a wealth of experience in the world of cosmetic dermatology. In fact Drs. Van Scott and Yu developed the very first Glycolic peel! The range uses cutting edge technologies in order to develop products that deliver on many fronts. Their tagline is “the science of skin transformation” and this ethos is apparent in the product. We both agree that it transforms your skin to airbrushed perfection and feels as good as it looks! 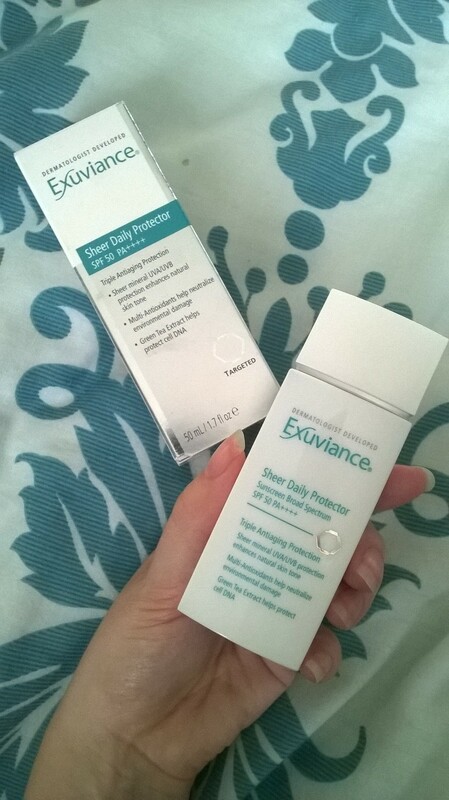 Someone very wise once said “you shouldn’t judge a book but its cover” but after taking a look at Evuviance’s packaging, one would be quite forgiven for calling said wise person a bit of a fool! The look and feel of the product is one of “salon luxury” – clean, crisp and user-friendly. The bottle is nice to use too. But a WARNING ladies! You need to get your upper arms prepared as you are going to HAVE to shake it like a Polaroid picture for at least 15 seconds in order to blend all the loveliness inside and to ensure an even colour to the tint. And what loveliness IS inside, I hear you ask? Well bid a fond hello to a sheer mineral SPF 50 UVA/UVB protection, the multi-antioxidant powers of Vitamin E and Lacto-bionic Acid to ward off environmental damage and free radicals AND Green Tea in a highly concentrated form to protect cell DNA. WOWZERS! This potent combo is a triple threat against the various kinds of anti-aging. Amazing! 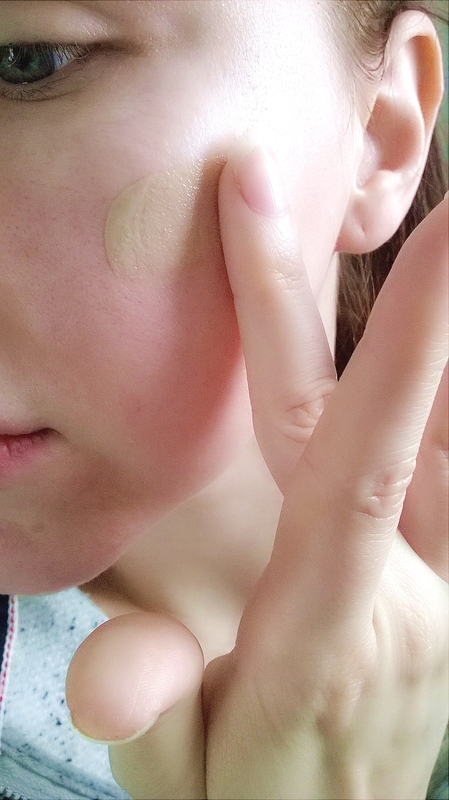 As we all should know by now, sun damage is one of the highest contributors to premature ageing and, as much as we love a good leather handbag, no one in their right mind wants to look like one. So popping this fabulous wonder into your beauty routine should be a priority. That’s all well and good, but it’s got to feel AND look great on right? RIGHT! And my does it feel good on. The fluid glides on weightlessly, leaving in its wake skin that becomes instantly poreless and almost HD-worthy. “Hyper skin” you could call it. The colour suited both of us and blended seamlessly with our skin tones, despite each of ours being slightly different. Once applied, the product leaves the skin matte but not flat with a silky-feeling sheer veil of protection. It is perfect to wear alone for that extra bit of skin confidence at the gym or poolside and definitely survived a sweaty Zumba session. In fact, Leigh found that the mattifying finish meant there was no need for powder to top it off. Nicky loved layering it under her make up as it acted as one of the best primers she had ever tried. She could apply her foundation straight away and it made it look even better and last longer. MEGA RESULT! In summary? This beauts of a bottle is firmly staying on our beauty shelf! It’s a brilliant multi-tasker both cosmetically and scientifically and that’s something that is quite hard to come by. It really does deliver on all fronts. 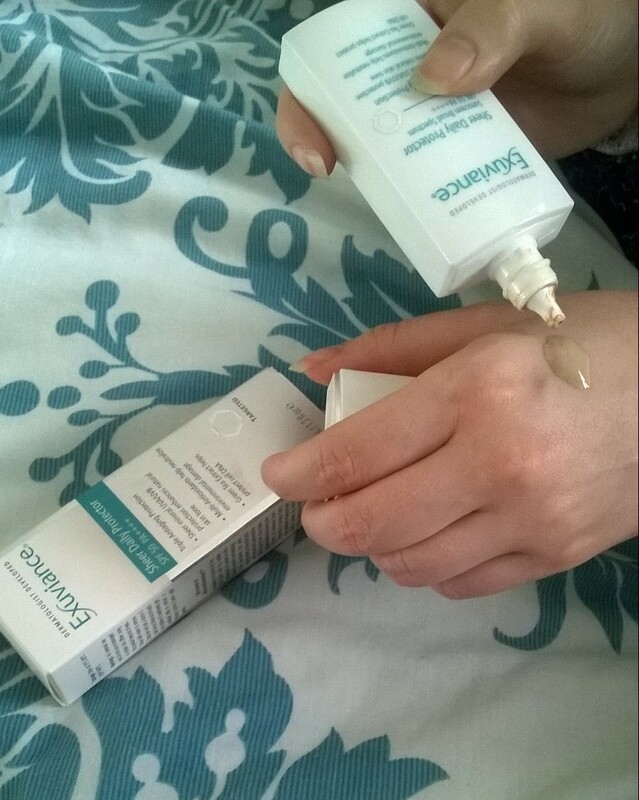 Stay tuned for the next instalment of Skincare Week – we can’t wait to show you more of our reviews. Your skin will thank us for it. P.s. Like what you see? Well let us know lovelies! Like, comment, share, follow! You’re doing a really good job with your blog. I just started mine. Could you be kind enough to maybe check it out when you have time and tell me what you think?